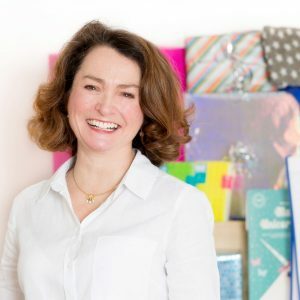 Gift It 2 is the brainchild of Anne-Marie Carswell, a busy mum of three who found a gap in the market when she found herself struggling to track down unusual gifts for her boys’ friends. Drowning in a sea of samey products, Anne-Marie decided to seek out some truly original gifts and sell them at local fairs and markets. Mums soon flocked to her stalls, delighted with the selection of unique, must-have gifts. An online shop seemed the natural next step and so, back in 2011, Gift It 2 was born. With an emphasis on quality and quirkiness, Gift It 2 stocks a wide range of great value presents for boys, girls and for the home. Selecting a present via Gift It 2 is a breeze. You can browse categories such as ‘Creative’, ‘Outdoor’ or ‘Games’, and you can further refine your search with age and gender specifics. And if you need help remembering special dates, a reminder service will have gift suggestions winging their way to your inbox for no extra charge. Simply register the birthdays of your loved ones and Gift It 2 will act as your own personal shopper! Based in the heart of the Cambridgeshire countryside, the Gift It 2 team prides itself on saving its customers time and money by providing a carefully selected range of spot-on pressies. Quick delivery and top notch customer service come as standard. Do get in touch if you’re struggling to find the perfect gift because the team at Gift It 2 are full of ideas and would love to help. Whether you’re shopping for a craft-mad kid or a techy teen, the right present is here waiting for you!